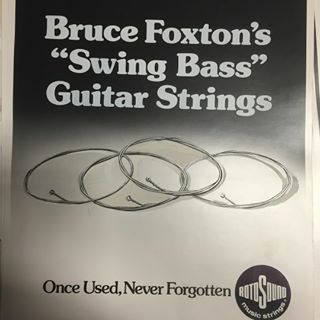 Hofner Violin Bass guitar (given to Bruce Foxton when he joined The Jam in 1975). Rickenbacker 330 semi-acoustic guitar (2 pick-ups) - the famous American-made guitar formerly associated with Pete Townsend and the early Who, and also John Lennon and George Harrison of the Beatles during the late sixties. 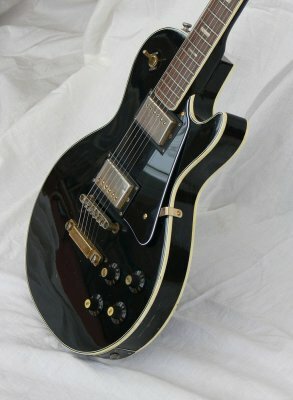 Jedson Les-Paul Copy (which he used in The Jam early days. Studio only: Ovation acoustic guitar. 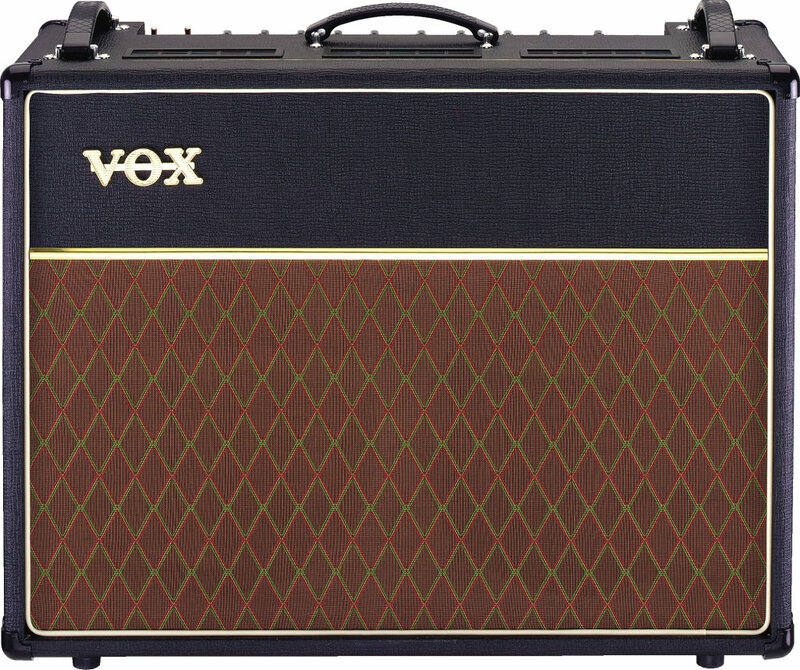 Vox AC30 valve combo amplifier. Hofner Violin Bass guitar (used when first joining The Jam - originally played by Paul Weller). 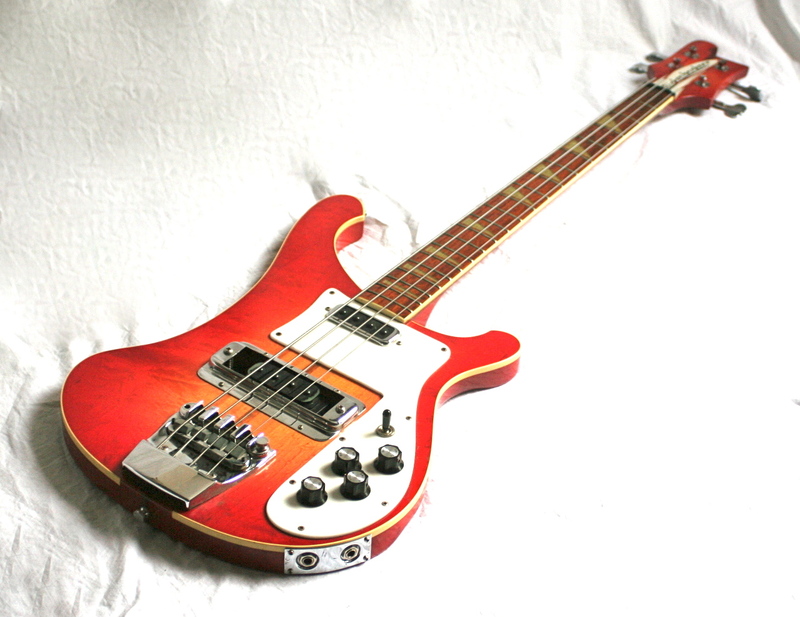 Rickenbacker 4001 Bass guitar (2 pick-ups) - the unusually shaped bass most associated with Bruce and The Jam - former users of this model include Chris Squire of Yes and Paul McCartney, who used a left-handed version. 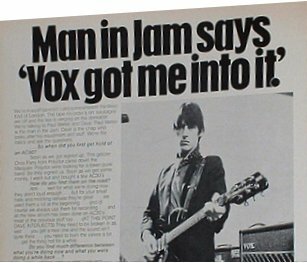 The unique metallic treble tone of this instrument was as much a part of Bruce’s distinctive melodic bass playing as the similarly metallic ring of the Rickenbacker 330 which gave Paul Weller the "Jam" guitar sound. Ibanez Copy of Rickenbacker 4001 Bass guitar (same specification) - an attempt by Bruce to obtain a Bass guitar sound unlike that of the Rickenbacker, while keeping the image of the Rickenbacker, when Bruce decided to vary his sound after the first Jam album. 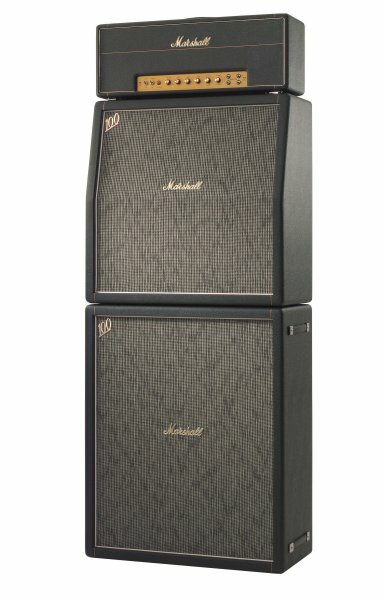 Marshall 100 Watt Bass amplifier with up to four speaker cabinets each containing four 12" speakers (depending on the size of the venue). 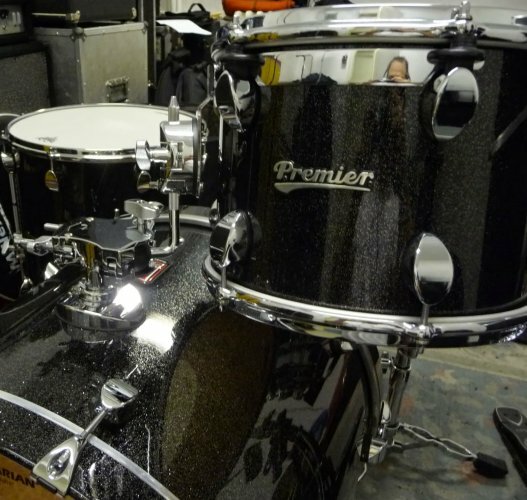 However, for a more accurate & complete list, check out Rick's site at: rickbuckler.net/equipment.